News TV Channel / Canterbury Television was an independent television station broadcasting in Canterbury, New Zealand. The name is synonymous with regional television in New Zealand as it was the name of the first regional broadcaster to operate in New Zealand. CTV produces and screens more than twenty hours of locally based programming every week. It also screens overseas programming from Deutsche Welle and Al Jazeera. It broadcasts from the Sugarloaf transmitter on the Port Hills. As of 18 March 2013, CTV commenced digital free-to-air transmissions on Freeview Channel 40. CTV is also on Vodafone Channel 199. The station ceased broadcasting on Friday, 16 December 2016 at midnight. 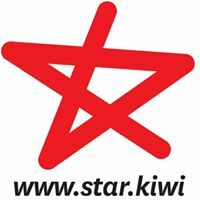 CTV will now operate as a web-based platform from 19 December 2016 under the Star Media brand.